Illinois Capacitor is a leading manufacturer of aluminum electrolytic, aluminum polymer, metalized film and power film capacitors for electronics, along with super capacitors (EDLC or ultra capacitors) for an even wider range of applications. Through our close involvement with customers and suppliers, IC has been able to consistently deliver the components most needed for today’s high performance end products. IC is one of the world’s most experienced capacitor manufacturers, well known for its benchmark quality, guaranteed delivery and responsive engineering support. Applications include virtually all types of electronic devices and systems, plus some applications traditionally thought of as being more in the electrical or lighting world. Markets with the highest growth include wireless communications, electronic power technology, energy management, IGBT, solar and wind power. Hottest circuit application areas include almost everything from bypass coupling to DC link and pulse circuits. Supercapacitor (ultra capacitor) are blossoming, as engineers discover the role they can play in powering portable devices. 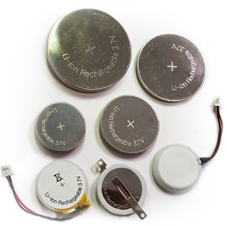 The latest product technology expansion from IC is in the field of rechargeable Lithium batteries. These power sources offer extended power cycles vs. competitive alternatives, as well as being a safer option. IC differentiates itself with the highest possible service levels and product quality. The Applications Engineering Department advises engineers and buyers as to what capacitor technology best suits their needs, as well as what specifications are recommended for their unique operational variables. With continuing changes in capacitor technology, there are more options available to the engineer to enhance performance or lower costs. IC stands ready to assist in those decisions. Many products are also available with optional value-added services to improve customer assembly operations, add mechanical rigidity in special applications or meet special tolerances. Other value-added and custom design services are available to satisfy special needs. Special life or performance testing can also be provided. If you don’t see what you need, please contact us! Reports on advances in power supplies as well as the components and devices used in power conversion, management, and distribution. Look for your first issue of the Power Supplies & Devices newsletter to arrive soon.